Job opportunities at Cotton Fitness Club Ibiza! Today we tale about some interesting job opportunities in Ibiza, at the Cotton Fitness club. This is the announcement that was published December 1st:” COTTON FITNESS CLUB is seeking personal trainers, reception/hostesses, beauty therapists (manicure, pedicure, lash & brow treatment, hair extensions and massage). We seek people with a sparkling personality on all levels of our organisation – you need to be a hard worker, respectful to clients and colleagues and be a great ambassador for Cotton Fitness Club. CV should be sent to: Alex@cottonfitnessclub.com” More info here. Job opportunities in Ibiza at Rewind: the casting! Today we tale about an interesting casting for the cult party REWIND,. Job opportunities in Ibiza at Sa Brisa! Today we tale about an interesting casting for the location “Sa Brisa”, that’s looking for waiters. Here you have the official poster with the mail address to contact. Job opportunities at Rio ibiza for autumn & winter season! Ibiza by night has a section dedicated to the job opportunities, where you will find several job offers for Ibiza 2016 and -sometimes- around the world. Today we tale about some job opportunities at Rio Ibiza, the new location of San Antonio. Rio Ibiza is recruiting staff for autumn & winter season 2016. The organizers said:”STAFF WANTED. With the opening of the rooftop terrace, we will be looking to add to our team. Please bring your CV to us from 9pm any day“. Job opportunities at SushiPoint Ibiza! Ibiza by night – as we always say – has a job opportunities section, where you will find several job offers around the world. Even if summer in ibiza is ending, we follow to publish interesting job opportunities, Today we talk about an announcement shared a few days ago by SushiPoint Ibiza, one of the cult locations of the white island. You must speak languages and have previous experiences. SE REQUIERE EXPERIENCIA, IDIOMAS Y DON DE GENTE. Ibiza by night isn’t a job agency and isn’t involved directly or indirectly in any casting. Ibiza by night doesn’t receive any economical advantage or profit from castings in Dubai or castings worldwide. Ibiza by night doesn’t assume any responsability for the job offers in Ibiza and worldwide published on these pages. The jobs opportunities in Dubai, in London, the job opportunities in Ibiza for summer 2016, in Dubai or worldwide are offered directly from the employers. For further information contact directly ONLY the organizers of castings at mentioned mail addresses or links and, please, don’t send us CV or emails with information requests because of we can’t help you. Ibiza by night no tiene nada a que ver ni directamente ni indirectamente en los castings y no gana nada sobre los casting y oportunidades de trabajo en IBIZA, en Dubai, y en el mundo que publicamos. Ibiza by night no tiene ninguna responsabilidad sobre las ofertas de trabajo en Dubai o en todo el mundo que se publican. Cortesemente contacten directamente a los que ofrecen el trabajo en Ibiza. No nos envien a nosotros CV y no pidan informaciones porque no podemos ayudarlo. Ibiza by night non organizza alcun casting ad Ibiza o casting a Dubai e non offre alcuna posizione di lavoro. Ibiza by night non ha alcun rapporto diretto o indiretto con chi propone le offerte di lavoro a IBIZA (e nel resto del mondo) e non riceve alcuna utilità economica dai casting a Ibiza (e nel resto del mondo). Ibiza by night non assume alcuna responsabilità circa le opportunità di lavoro ad Ibiza estate 2016, opportunità di lavoro a Dubai o all’estero. Cortesemente contattate DIRETTAMENTE gli indirizzi indicati nelle offerte di lavoro e non inviateci CV. Ibiza by night si limita solo a pubblicare le notizie dei casting e declina ogni responsabilità. New Job opportunities in Ibiza at Prince! Nuevas oportunidades de trabajo en Ibiza en el Prince! Ibiza by night has created a section dedicated to the job opportunities, where you will find several offers in Ibiza. And today we talk about new interesting job opportunities from September 2016 at PRINCE! 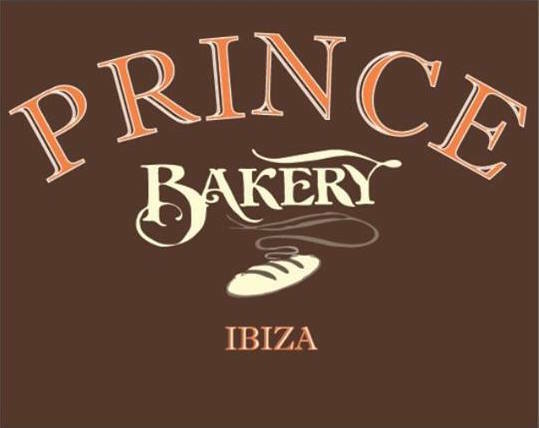 Prince is a bakery- coffee shop based in Marina Botafoch (just in front of Pacha) where during summertime it’s possible to meet vips and some of the top dj’s on the island, and is also based in Jesus. The management of PRINCE is searching some new waitresses, and said us:”We are searching staff highly motivated, with previous experience. The candidates must speak fluently English, Spanish and also a third language“. So, if you are interested good luck! Please DON’T SEND US CV ! No nos envien Curriculum por favor! The jobs opportunities in Ibiza, in Marbella, in London, the job opportunities in Ibiza for summer 2016, in Dubai or worldwide are offered directly from the employers, and they give news about vacancies in Ibiza, Dubai, London, marbella. Ibiza by night non organizza alcun casting ad Ibiza o casting a Dubai e non offre alcuna posizione di lavoro. Ibiza by night non ha alcun rapporto diretto indiretto con le offerte di lavoro a IBIZA, offerte di lavoro a Ibiza estate 2016 (e nel resto del mondo) e non riceve alcuna utilità economica dai casting ad Ibiza (e nel resto del mondo). Ibiza by night non assume alcuna responsabilità circa le opportunità di lavoro ad Ibiza estate 2016, opportunità di lavoro a Dubai o all’estero pubblicate. Cortesemente contattate DIRETTAMENTE gli indirizzi indicati nelle offerte di lavoro a Londra e cortesemente non inviateci CV. Job opportunities in Ibiza at Palladium Hotel group! Today we publish an announcement shared a couple of days ago by Palladium Hotel in Group, that in Ibiza has some of the most exclusive locations (as Hard Rock Hotel). Here you have the official poster with the positions available, the requirements and the mail address to contact!